Aus der Reihe: "Legends of Warfare - Ground". 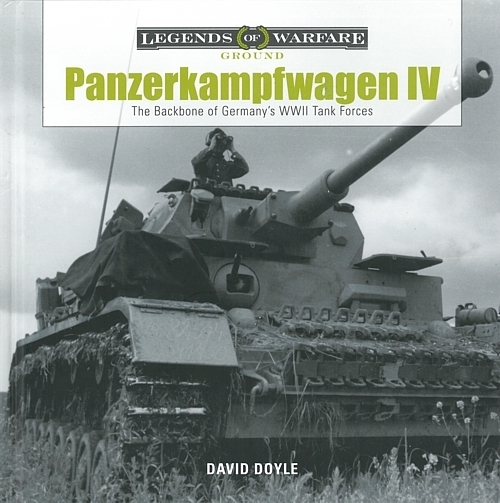 The Panzerkampfwagen IV, or Panzer IV as it is more popularly known, formed the backbone of Germans tank formations during WWII. 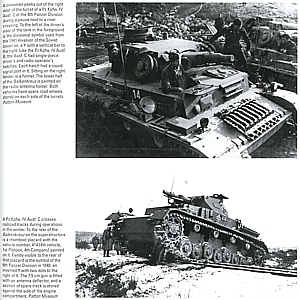 With production totaling more than 8,500, the Panzer IV was the most plentiful German tank of the war, and the only German tank that remained in production for the duration of the conflict. Through more than 180 photos, this volume chronicles the design, development, and operational deployment of this ubiquitous German tank. This material is arranged in nine chapters, each focusing an a specific production model (Ausführung) of the tank. Comprehensive tables reveal the details of the performance and technical specifications of each variant. 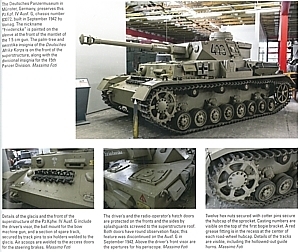 A concise, easy-to-read text, and detailed, photographic captions expose the secrets of this iconic tank. Neubuch aus dem Verlag Schiffer Publishing, 2017.